Not long after the parade finishes, it’s all about staking out a spot for the fireworks – Holiday Wishes! Of course, you don’t have to do this, but I wanted a decent spot to set up my tripod and get some half decent photos, which I just about managed to do. Not know when the fireworks are coming – as this was our first time seeing Holiday Wishes – it makes taking photos a bit trickier. With regular Wishes I knew it inside and out and could second guess the best time to start photographing! Disney do fireworks REALLY well – like amazingly well. They always go so well with the musical score, and take you on a journey. Holiday Wishes was amazing, and by the end of it I was in tears, especially when they sang out wishes… from the now ended fireworks show at Magic Kingdom, which so many fans miss. The soundtrack was very festive, and Jiminy Cricket narrates as he does in the original Wishes. Tinkerbell flies across the sky too – so it feels all very familiar and like you’re home. Which sound so silly, but I get so emotional at times when on hols in Walt Disney World! Oh, and at the end, they do have the 180° (or is it 360°?) firework bursts which you may not actually see if you’re not in the right position. 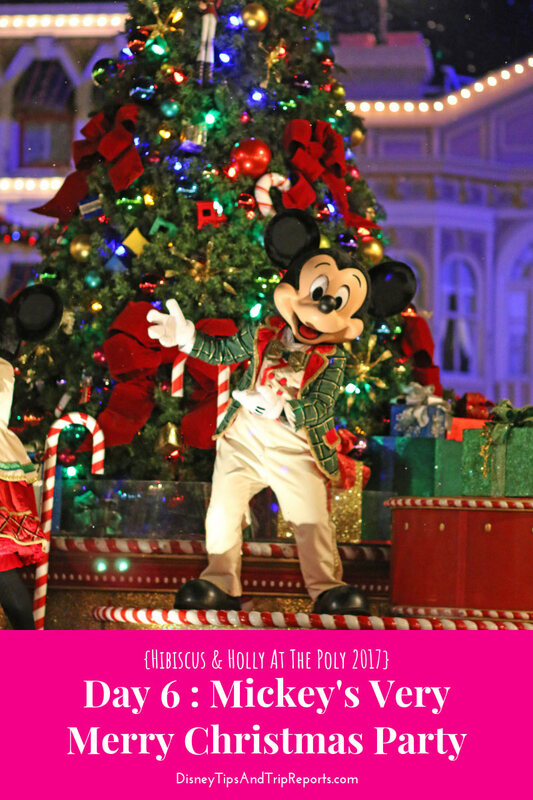 We saw them when we watched Holiday Wishes from Poly beach, and they were amazing! After the fireworks, we stopped by Casey’s Corner as we were all a bit peckish. Lunch at Planet Hollywood was ages ago, and the cookies only did so much! I didn’t take photos at the time, as we ordered our regular eats – Corn Dog Nuggets ($8.49) for Steve and I to share, and Liam had a Hot Dog and Fries ($9.49) The total was $19.15 with tax. Here are photos of the food from previous visits!